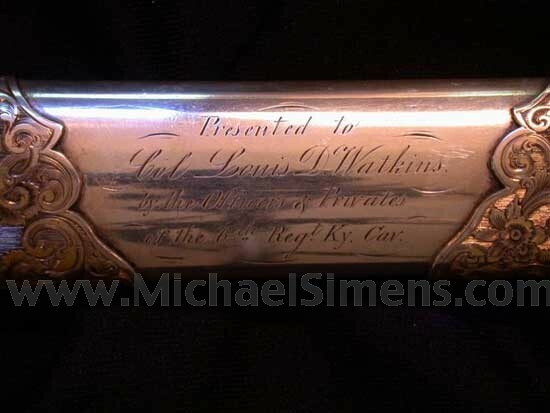 Considered by many experts to be one of the finest Civil War Cavalry Sabers ever discovered. 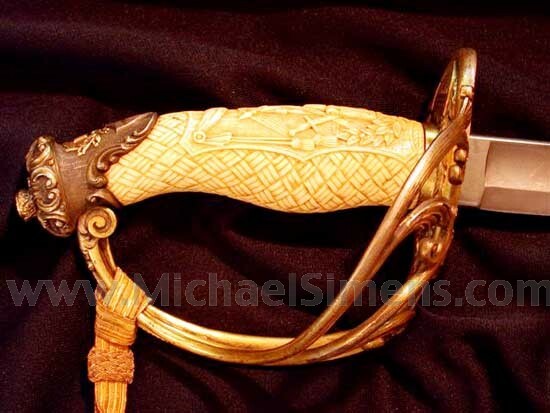 Mounted with about the most beautiful carved ivory grips ever encounter, the solid silver scabbard and engraved mounts are topped with solid gold motif carvings. A spectacular sword. 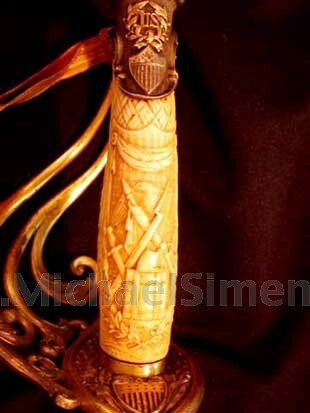 This item may now be seen by the public at the Frazier Historical Arms museum in Louisville, Kentucky. 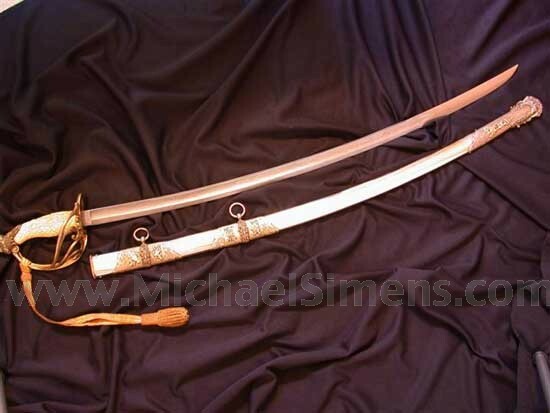 In the main hall is a 20 foot-tall photo of Watkins wearing this very sword.